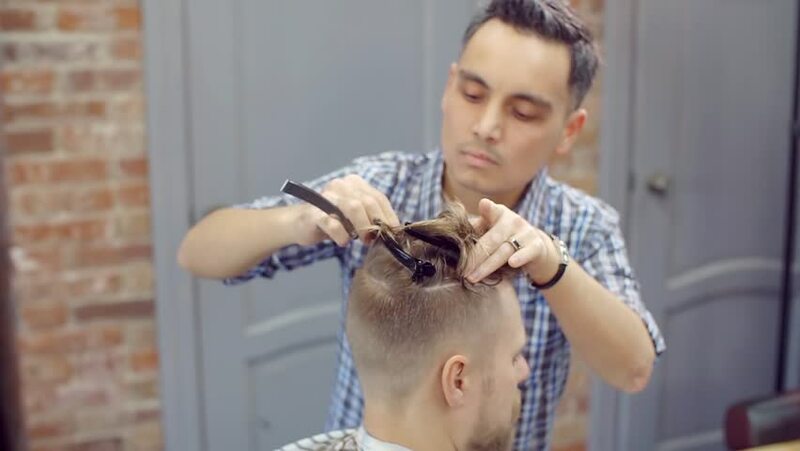 hd00:20Master hair creates a stylish haircut head , beard, and mustache to his client. hd00:43Hair stylist makes a curls for a girl, using hair styling. Hairdresser at work. 4k00:17Barber doing beard's haircut with adult men with a long beard in the men's hair salon. Grooming the beard. Hairdressers in the workplace. Beard hairstyling and haircutting in a barber shop.